I never knew that I had a soft-corner for crunchy salads, until I visited Sweet tomatoes – a famous Salad buffet Restaurant in Bay area or may be until my daughter came into my life or until I explored new vegetables and fruits. Indeed exploring some organic markets and stores is like walking through a veggie-garden sometimes. Today I am sharing one of my self-developed recipe of beets, inspired by one of my friend – Inderjeet (a salad pro). 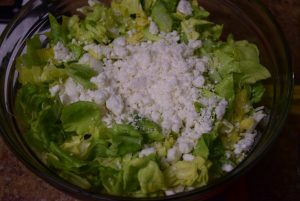 An easy handy salad, which has iron from beets, Vitamin K from Cabbage, Sodium from Lettuce and Protein from Feta Cheese. Lets check the recipe now. P.S. : I am participating in a Blogging Marathon for a Kid’s Delight event ( my 2nd post) hosted by Sandhya whose theme is Summer Salads. 2. Soak them in white vinegar diluted with water and a tsp sugar for 2 hours. Dilute 2 tsp of vinegar in 1 cup of water and then soak them. This step is optional. It is for adding that tart to your salad if you desire. 3. Wash the beets in fresh water. If we are not soaking the beets, then peel the daikon /radish and slice them thinly in quarters. Adding radish is upto you , not so required in this recipe. But if you like some crunch ,then this is good. 4. 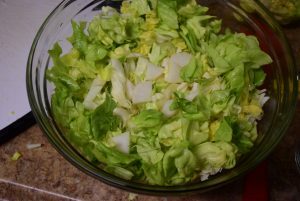 Chop the cabbage and lettuce in shreds or pieces. Mix them with the radish and beets. 5. If the beets weren’t soaked , then add the sugar, lemon juice now and mix them well. Also add Balsamic vinaigrette – a tsp to enhance the flavor. 6. Sprinkle some black pepper powder and feta cheese on the top. Mix them lightly. If you are interested in participating this Blogging Marathon, check it for #BM 90 Blogging Marathon . Till then enjoy the summers and continue sharing…. I never knew that I had a soft-corner for crunchy salads, until I visited Sweet tomatoes - a famous Salad buffet Restaurant in Bay area or may be until my daughter came into my life or until I explored new vegetables and fruits. Indeed exploring some organic markets and stores is like walking through a veggie-garden sometimes. 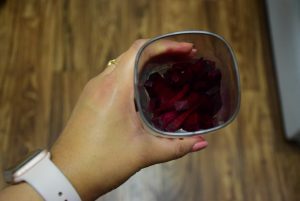 Today I am sharing one of my self-developed recipe of beets, inspired by one of my friend - Inderjeet (a salad pro). 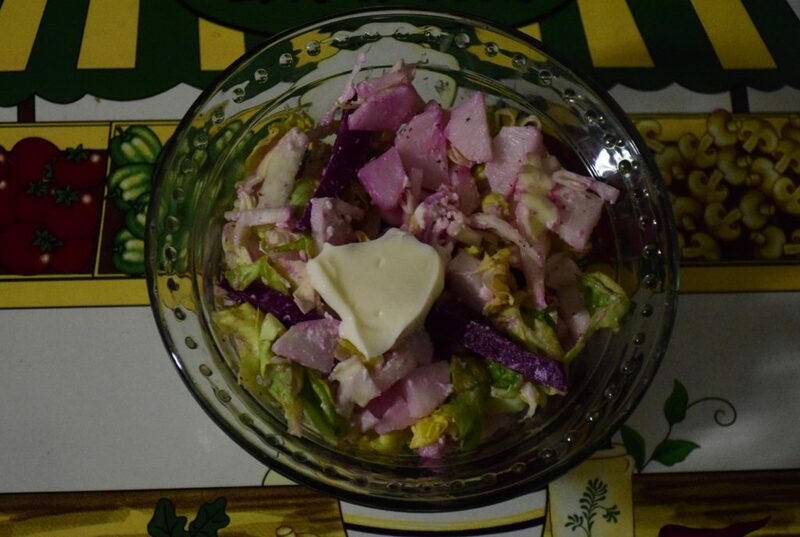 An easy handy salad, which has iron from beets, Vitamin K from Cabbage, Sodium from Lettuce and Protein from Feta Cheese. Lets check the recipe now. P.S. 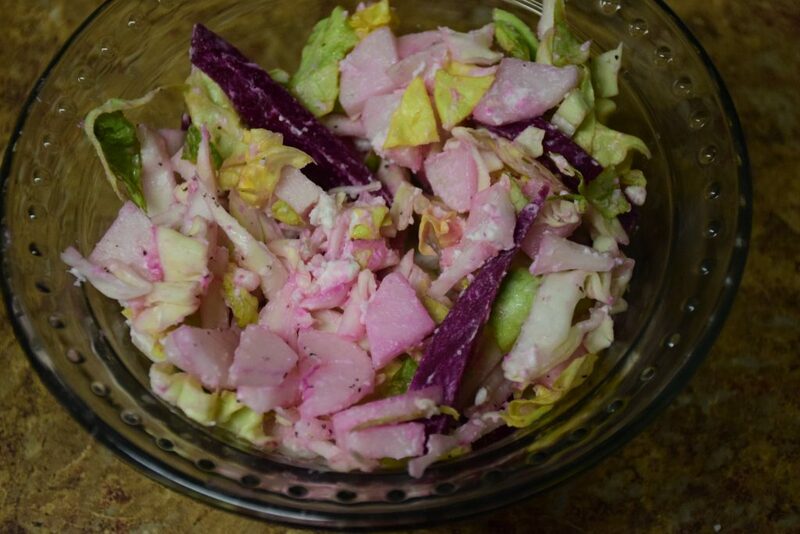 : I am participating in a Blogging Marathon event hosted by Sandhya whose theme is Kids' Delight Summer Salads. Soak them in white vinegar diluted with water and a tsp sugar for 2 hours. Dilute 2 tsp of vinegar in 1 cup of water and then soak them. This step is optional. It is for adding that tart to your salad if you desire. Wash the beets in fresh water. 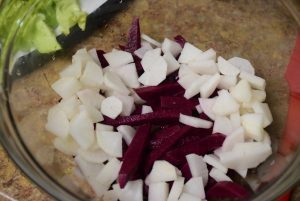 If we are not soaking the beets, then peel the daikon /radish and slice them thinly in quarters. Adding radish is upto you , not so required in this recipe. But if you like some crunch ,then this is good. 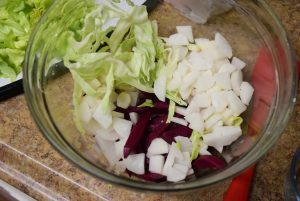 Chop the cabbage and lettuce in shreds or pieces. Mix them with the radish and beets. If the beets weren't soaked , then add the sugar, lemon juice now and mix them well. Also add Balsamic vinaigrette - a tsp to enhance the flavor. Sprinkle some black pepper powder and feta cheese on the top. Mix them lightly. This entry was posted in Food, Kids- Favourite, Raw preps, Recipes and tagged balsamic, beet, Beetroot, Blogging marathon, BM#90, cabbage, Carenshare, chukundar, crunchy, Daikon, Feta cheese, Kid's Delight - Summer salad, lettuce, Mayonnaise, mooli, Raddish, Radish, shweta jindal, sour, spinach, summer salad, tartaric, vegan, Vinaigrette, vinegar, white vinegar, zindagisikhati. I love the way uv kept the recipe simple and neat. its easy to make. most salad recipes that call for lots of ingredients just to make the dressing just puts me off! 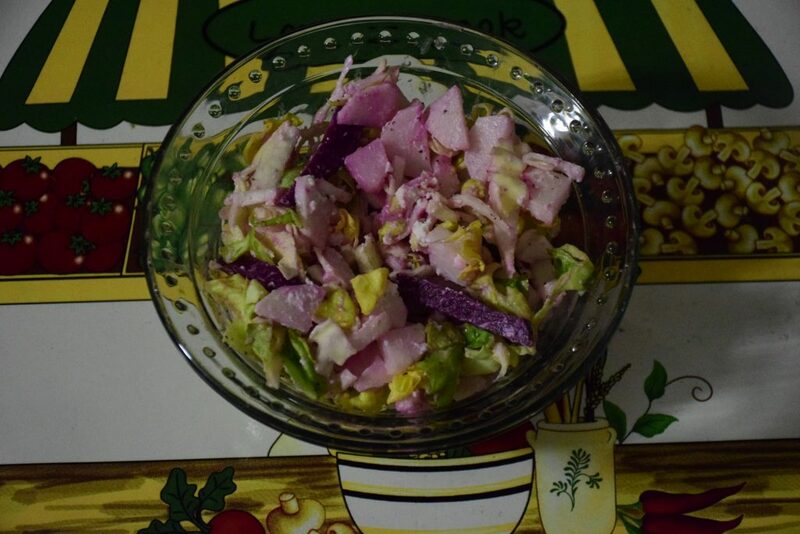 loving this salad shwetha! Salads have always been my favourite , and I love this combo , even I love beet roots .. no but not for colouring lips , but for its nutritious value . Thank you Dear !! 😀 You made my day ! Love salads and especially mixed vegetable salads. You have a nice collection of ingredients for this salad. Thank you dear :). I am motivated to try more salads now . Yet another healthy salad, I love the beets crunch! Salads surely make the meal so healthy and makes us feel light! Love this simple yet flavorful salad…looks so inviting! I ate a salad with beets just yesterday and loved the crunch of beetroot. Love your version as well. Great !! 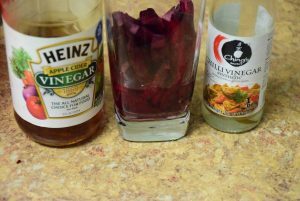 I wasn’t a fan of beets until this recipe . Thanks dear ! Attractive salad definitely, love the addition of feta cheese in this salad. It will definitely balance the sweetness of beets na. Yes, I think the Cheddar cheese will do more justice in balancing the sweetness. But since I have dipped my beets in vinegar , already, they weren’t that sweet at all. Great salad with beetroot and feta combination. very healthy and so filling with such veggies. Loved this version of salad. Thank you dear 🙂 . That is a nice colourful salad and I love that vinegar soaking tip. It would add a nice tang.